Walk In Her Shoes is making a splash. Will you be next to join us? 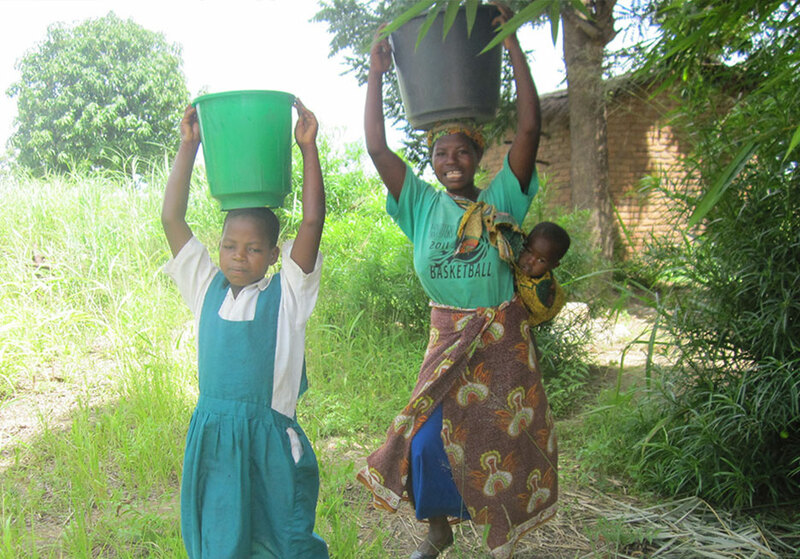 When CARE staffer Lyrian went to Malawi, she decided to walk in her shoes…. literally. And it was really hard work! Support women and girls by taking the Walk In Her Shoes challenge. For seven days, beginning March 8 (International Women’s Day), thousands of supporters walked 10,000 steps a day in solidarity with women and girls around the world. The 2nd annual Walk In Her Shoes flagship walk engaged 2,500 participants in Atlanta. CARE’s Walk In Her Shoes takes place here in the U.S. and all over the world. Taking steps in solidarity with women and girls creates an understanding of the challenges so many of us face every day. A wife and mother of four in a remote village in Malawi who is working hard to make sure there is food on the table for her husband and children. She lives with her five children and husband, whose work in Yemen’s military keeps him away from home much of the time. Fatuma is a 50-year-old mother of four in Muru Geda, a small village in Ethiopia’s chronically dry East Haraghe zone. Alice Chawanda, 28, is a wife and mother of four in a remote village in Malawi. She works hard to make sure there is food on the table for her husband and children – but her work doesn’t stop there. She also is active in her Village Savings and Loan Association, in which members, mostly women, save and loan one another money to start businesses and cover necessary life expenses. Alice wakes each day at 4 a.m. and, along with her 11-year-old daughter, Dorothy, leaves her reed and mud-brick house to walk the nearly 2 miles to draw water from the well. Water nearer her home can’t be trusted, and the community well is dry most of the time anyway. The distance home seems longer balancing a bucket full of water on her head. Still, Alice makes the trip – four times a day – to provide her family safe water to drink and to bathe with and to cook with. When she’s not walking for water or getting her children ready for school, Alice works with her husband on their tobacco farm and otherwise keeps her house in order by cleaning, sweeping and cooking. On Wednesdays, she attends the weekly meeting of her VSLA group. Hers is a full day every day. It’s a full life, too, caring for her family every step of the way. The closest water well to Aladiediah in southern Yemen was six miles. That is how far Aminah would walk every day, just to get water, not to mention bringing it all the way back. As is the case in most rural areas in Yemen — and throughout the developing world, for that matter — women are responsible for meeting their household’s water needs. And when the walk to do so is long, it can be risky, too, as women often fear wild animals and harassment by men they encounter along the way. 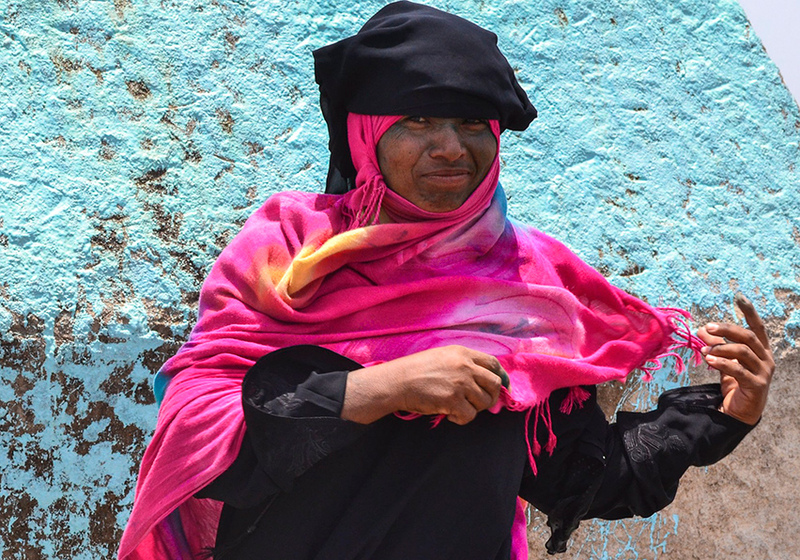 Aminah lives with her five children and husband, whose work in Yemen’s military keeps him away from home for much of the time. “When my husband goes to work outside the village, I have to leave my small kids with my 11-year-old son or take them along with me to the well,” she said. The new water point serves about 2,000 people in Aminah’s community. It takes a lot of strength to carry 55 pounds of water for more than four hours across eastern Ethiopia’s arid highlands. It takes even more to change the circumstances assumptions that force women to shoulder that burden. Fatuma Muhammed is strong in both these ways — and more. 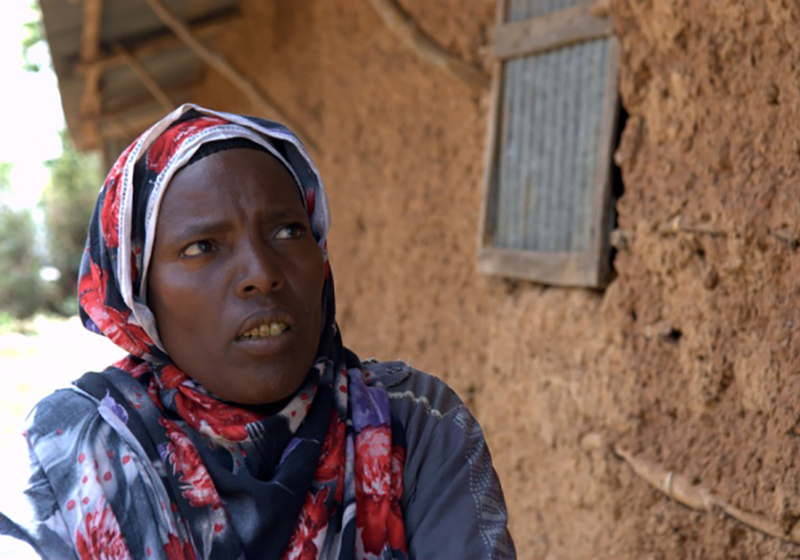 Fatuma is a 50-year-old mother of four lives in Muru Geda, a small village in Ethiopia’s chronically dry East Haraghe zone, where water is so scarce that women must walk long distances to reach a small pond or stream. For much of her life, Fatuma spent at least 16 hours a week searching for water. She would walk as many as four hours in the direction that held the best promise of a reliable water source, fill her large plastic jug and then walk four hours back home. In those days, Fatuma’s best-case scenario was that she’d return with six or seven gallons of water that would last her family of six for three days. It could be worse. Another big challenge is maintaining good health. Even when women like Fatuma find water in this part of Ethiopia, it’s often dirty – open to the elements and shared with animals. When families aren’t aware of simple sanitation practices such as boiling or filtering water, they risk debilitating waterborne illnesses such as diarrhea and dysentery. Long distances, unreliable water sources, the chance of illness and the threat of physical violence – an Ethiopian woman’s responsibility to bring home water diminishes both her dignity and her quality of life. That’s why CARE created an extensive water system for the area around Fatuma’s home in Muru Geda. Over the course of five months, CARE tapped the flow of a local spring and laid nearly 20 miles of pipe, which leads to water distribution points in five villages where women now access clean tap water with a mere turn of the spigot. Hundreds of local families participated in the construction of the water system, contributing sand, rocks and hours of hard work. Today, CARE still provides technical advice for the water system, but has turned over the daily operations to the communities the system serves – everything from maintenance to financial management. Households pay 10 cents for about five gallons of fresh water. The money is placed in a bank account for future repairs and system improvements. This account is managed by a water committee consisting of four local men and three women – including Fatuma.